Ever since the boys, Devreux and Osiris, began making their very loud, screech-like mating calls, I’ve looked every day for an egg. Finally, on Monday we found our very first egg! 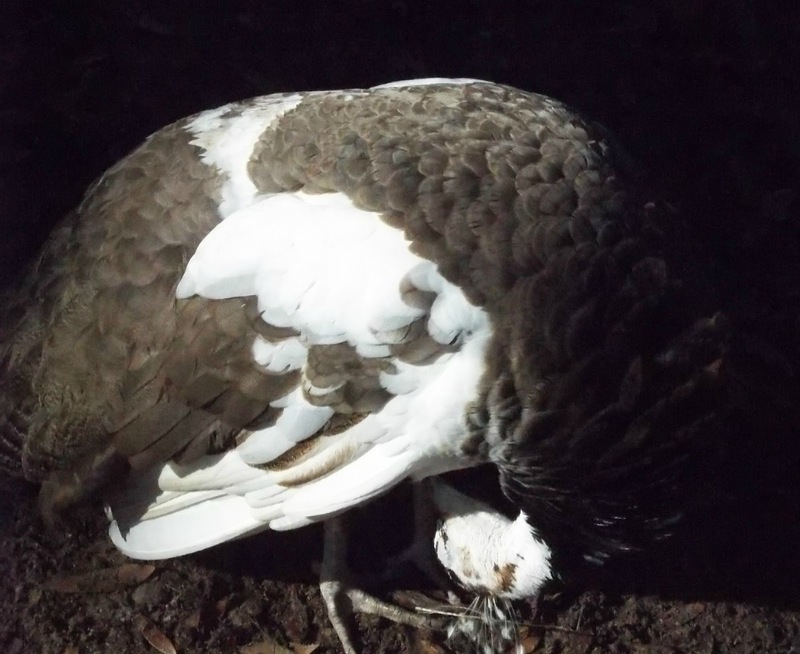 Peahens lay an egg every other day until they have a full clutch of about five to eight eggs, then they begin to set. On Wednesday morning, right on schedule, my mother found our second egg. Since we don’t want whichever peahen is laying to go broody this soon in the breeding season, we’re removing the eggs to incubate ourselves. Luckily, the brand new Brinsea incubator I ordered arrived this week. The two peahen eggs on either side of two chicken eggs. I’m fairly certain that Sweetpea is the peahen that holds the honor of laying our first eggs. Keep us posted Shell – we need to know how things progress. More eggs? How long do they take to hatch? How many babies. All very exciting stuff. We found our fourth egg today. Still just one girl laying, but at least she’s staying on schedule lol. They take about 28 days to hatch. I hate to say it, but there’s a chance they won’t. Guineas are really talkative. In fact, we only have males right now, and they are regular chatty cathys. But I promise, you do get used to the noise. Plus, they are the best alarm system ever. Whether it’s intruders of the two legged variety, four legged, or the slithering kind (ex: snakes), they’ll let you know when someone is trespassing. Ours have been known to literally surround rattlesnakes and cottonmouths in a circle and stand there and holler at the snake and peck it. To me, they’re worth having around if for no other reason than that. Hope your hubby can get used to them. Good luck!